One of my fav holidays for so many reasons? Easter. I squeal with excitement every year knowing that I get to teach my kids about Christ and the miracle of his resurrection and how amazing that moment was and still is today. And don’t get me wrong, it’s also incredibly fun to go on our annual neighborhood Easter egg hunt (little C’s fav pastime). Plus, who doesn’t love to get all dressed up? little L. and I are raising both our hands here! This year, she’s three and so much more grown up than I ever imagined she would be for this Easter 2017. She’ll probably wear her hair down on her shoulders like a “princess” and the big girl she is and I’ll shed just a few tears. I’m so blessed with my sweet little children, and little L. sure knows how to make a mama’s heart melt, especially in rosebuds and embroidery. 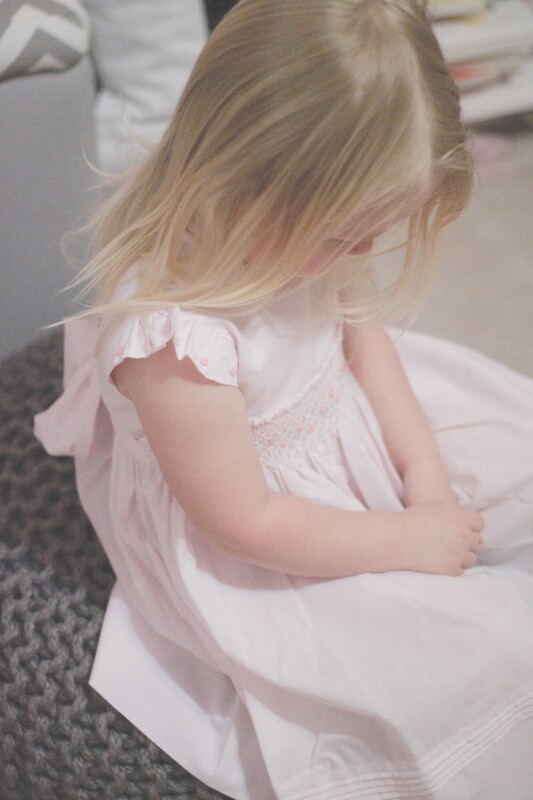 The Rose Garden dress comes in blue, pink or white (here) in sizes 3 months to 4T (so after next, what will we do!?). I love the vintage smocked look on littles and this is perfect with all of its ruffles and pintucks, and of course a charming big ol’ bow in the back. And remember those little bow shoes from last year, too? Mini Melissa is always on the ready, not only for everyday wear, but especially for occasions like Easter. These Mickey and Minnie shoes are as cute as can be, and maybe a little more casual than some Easter shoes. But, I find that they’re just as precious for Easter as they are every day. I mean, all mini fashionistas have a pair of chic character shoes on the ready, right? Thought so. From the playground to Easter Sunday, you can’t beat these sandals at all. Here’s to another Easter remembering the reason for the season, but also having fun in our most girly outfits imaginable. It’s just how we raise them in the South. Wink. 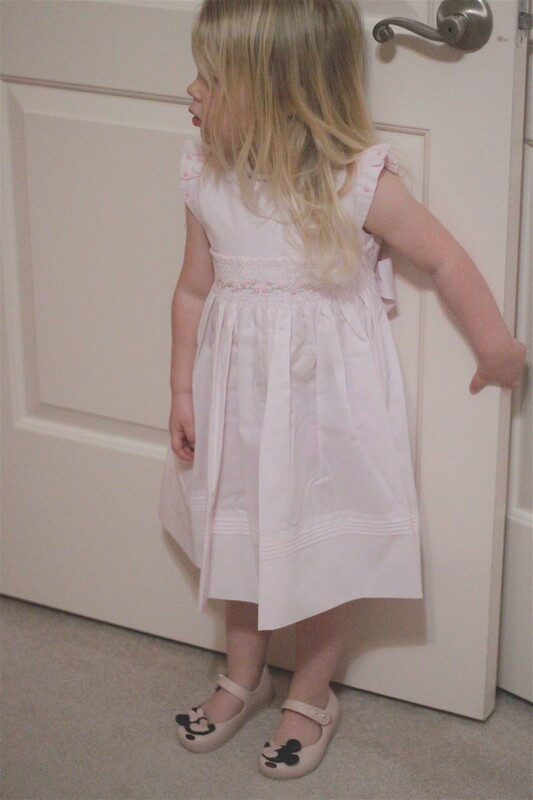 disclaimer: I did not receive compensation for this blog post; however, Feltman Brothers sent us this dress and Mini Melissa these sandals in exchange for testing and review. As always, all opinions are my own. We love the perfect fit of both. 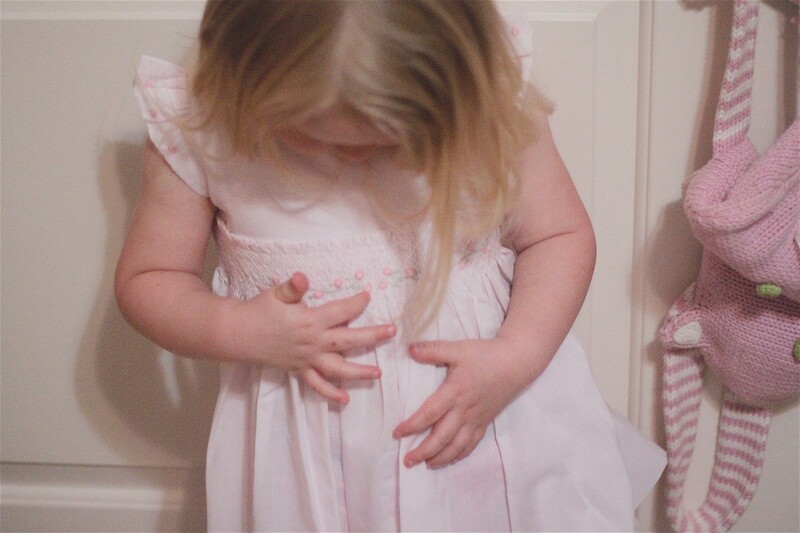 Share the post "Whiny Wednesday: Easter Dress Best"